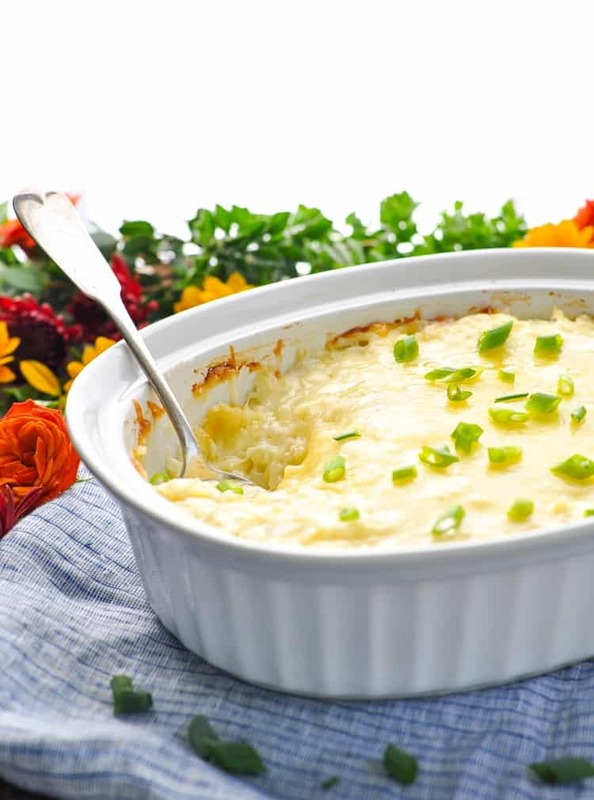 This simple, creamy, and delicious side dish has been a family favorite for decades! 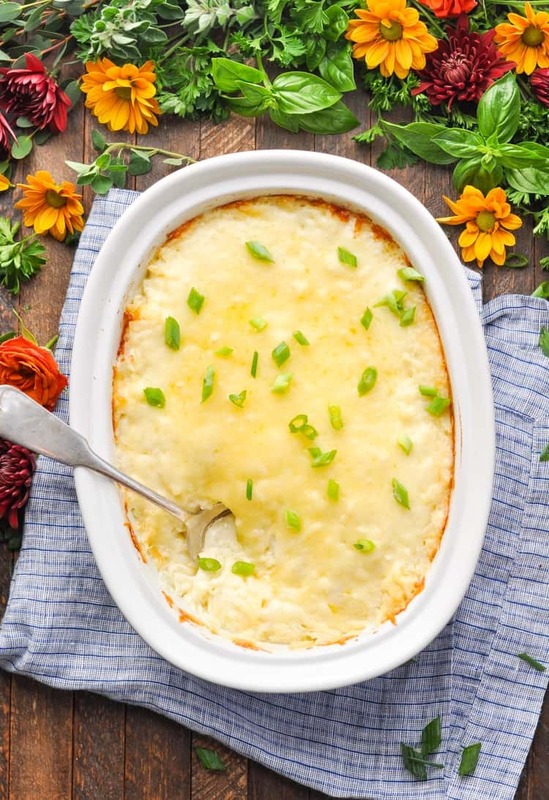 Aunt Bee’s 3-Ingredient Cheesy Potato Casserole is a staple on just about every holiday table, and it’s a quick prep-ahead option that makes mealtime easy! Who knew that 3 simple ingredients could come together in such a magical way?! 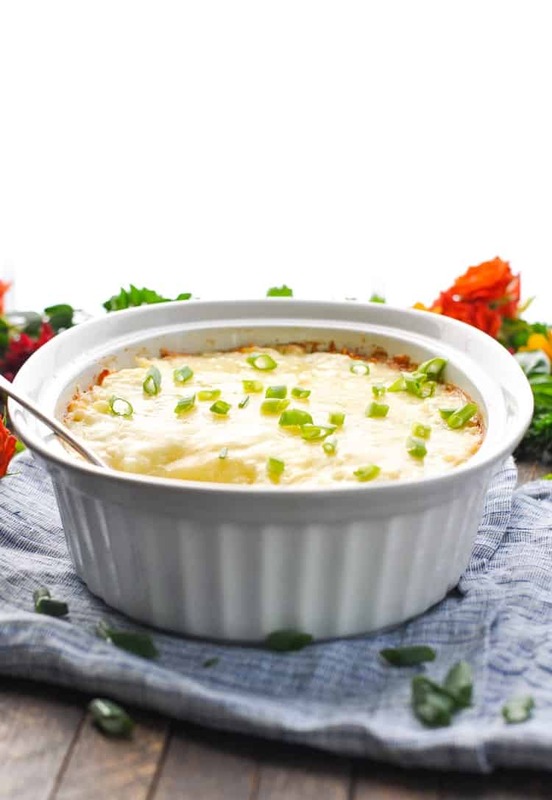 If you’re planning your holiday menu, or even if you just need a new easy side dish for your next weeknight dinner, I hope that you’ll add this Cheesy Potato Casserole to your list! Thanks to a few of the highest quality organic ingredients, this soul-nurturing recipe is a simple and wholesome way to transform any meal into a special occasion. 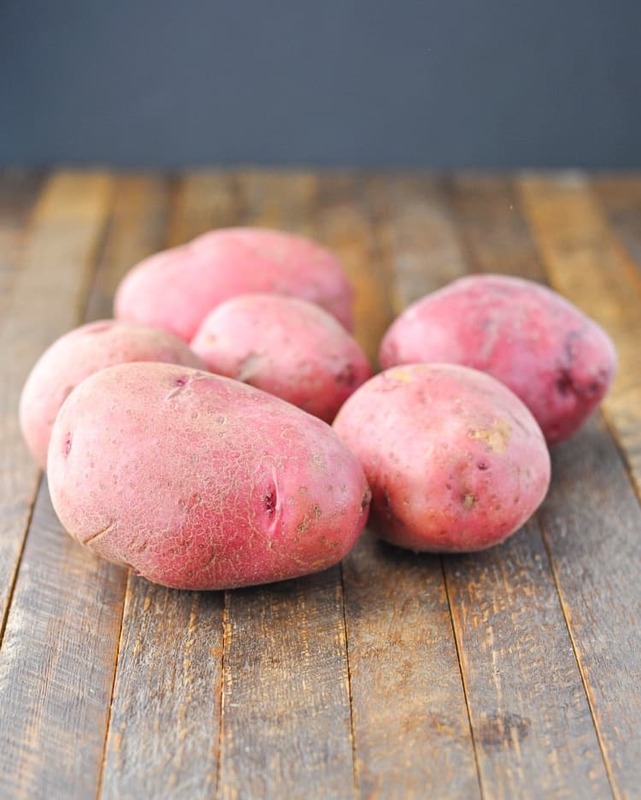 You’ll start with 2 pounds of red potatoes, which get boiled, peeled and grated. and the cheeeeeesiest Horizon Organic Shredded Cheddar Cheese. 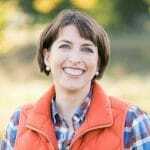 I love the Horizon products because they are full of wholesome, flavorful ingredients that lend a rich, smooth consistency to the potato casserole — without any of the funky unwanted stuff like artificial colors and GMOs. After stirring everything together, you just transfer the mixture to a deep baking dish and pop it in the oven. TIP: If you’re not ready to bake the potato casserole yet, you can cover it and keep it in the refrigerator for at least 24 hours. 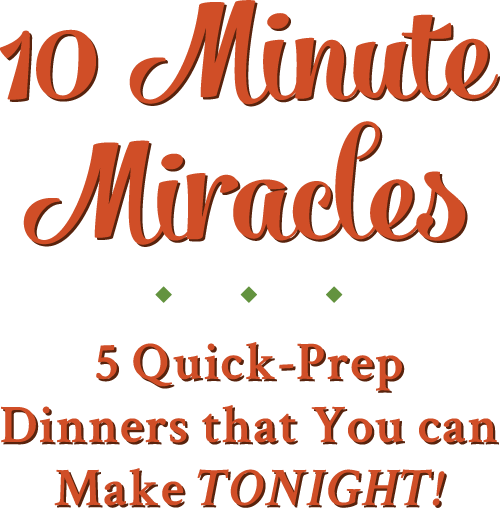 It’s the perfect stress-free option for a big holiday meal because you don’t have to worry about last-minute prep when you’re busy with everything else on the menu! 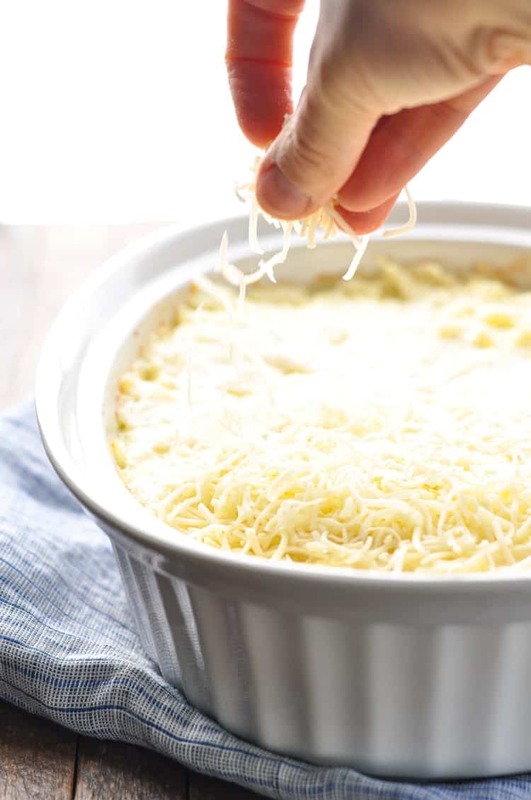 During the final few minutes of baking, I like to pull the potato casserole out of the oven and sprinkle it with the remaining shredded cheddar cheese. You’ll have it in the bag, so you might as well use it, right? Plus, a little bit of extra cheese on top never hurt a thing! 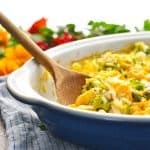 What to Serve this Casserole with? 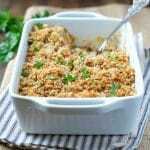 The end result is a rich, decadent, and simple side dish that pairs perfectly with just about any entree! Why not try serving it with grilled or roast chicken, pork or beef. 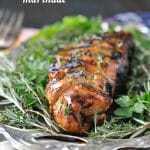 It will also go really well with sausages or other grilled and roasted vegetables. It’s like a cross between hash browns and mashed potatoes, and my mom has served this easy side dish for as long as I can remember. It makes an annual appearance on our Christmas table with beef tenderloin, it’s great alongside turkey and all of the fixin’s at Thanksgiving, and it’s a nice addition to ham at Easter. Plus, if you want to make a regular Sunday supper feel a little bit more special, this 3-ingredient recipe is the answer! Enjoy the time with your family this holiday season, stress less about the menu, and keep your time in the kitchen to a minimum! 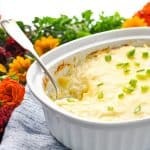 With simple-yet-decadent options like this prep-ahead 3-Ingredient Cheesy Potato Casserole, you’ll be amazed by how easily a feast can come together! This is a great option to make in advance. Prepare the casserole according to instructions through Step 5. Cover and refrigerate for up to 24 hours. Just before baking, remove the cover and allow to sit on the counter for about 30 minutes to come to room temperature. Proceed with baking as instructed above. You had me at three ingredients! I can never resist potatoes, especially the cheesy kind. I just want to dig into that dish! I bet this would be so fun to jazz up too. 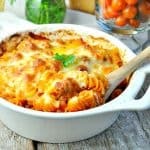 Love the ease of this dish, which is just what I need for the holidays! 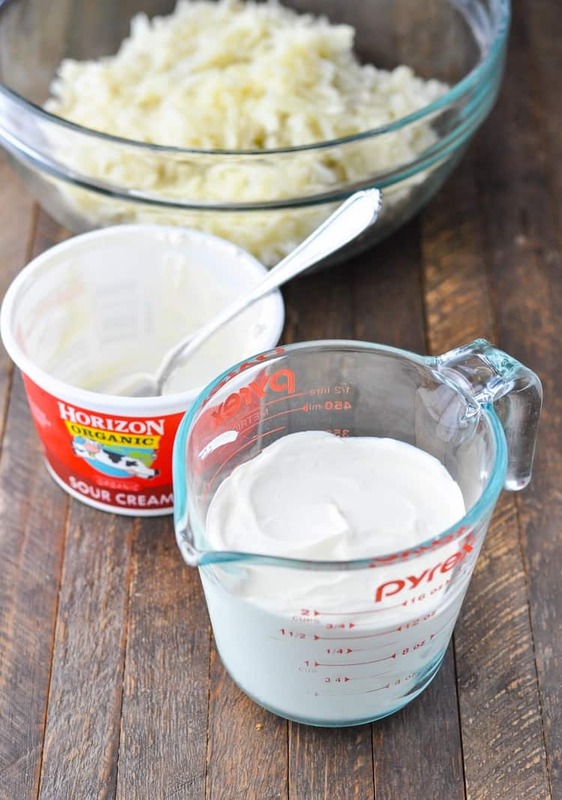 I know this may be heresy for some but I’m not a fan of sour cream. 😊. Do you think Greek Yogurt would work as a substitute? If not, can someone suggest a substitute? 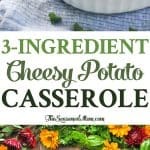 The potatoes and cheese sound fantastic! I have no idea if the Greek yogurt would work as a substitute. It would definitely change the taste and texture of the dish, but maybe that would still be okay for your tastebuds? Wow that looks fantastic, and very indulgent–perfect for the holidays! I really like Horizon products. I always buy their skim milk, but have never purchased their sour cream or cheese. I generally shred my own cheese, and I know that adds to the prep. 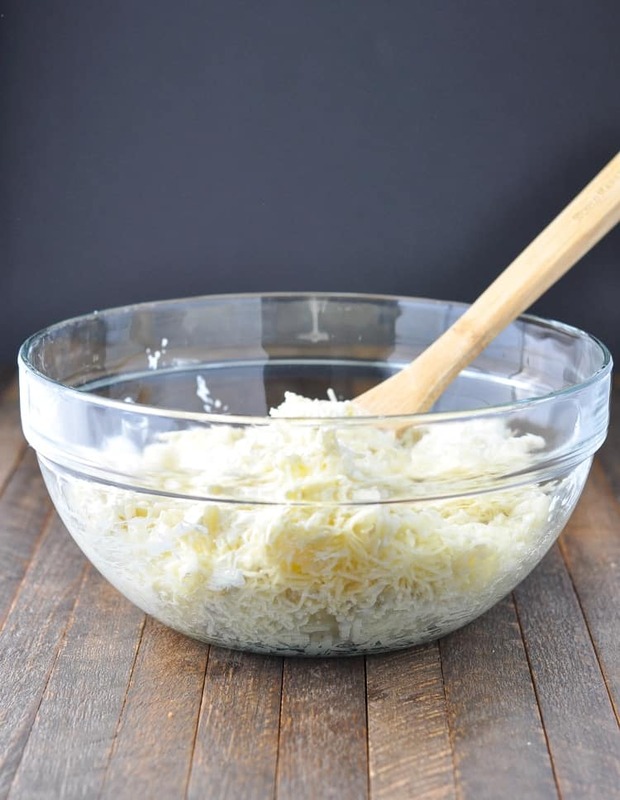 I find that pre-shredded cheeses don’t melt well because of the coating that is added to prevent caking. Do you think Horizon melts well enough? Hi, Teresa! I agree — there are certain pre-shredded cheeses that don’t melt well. 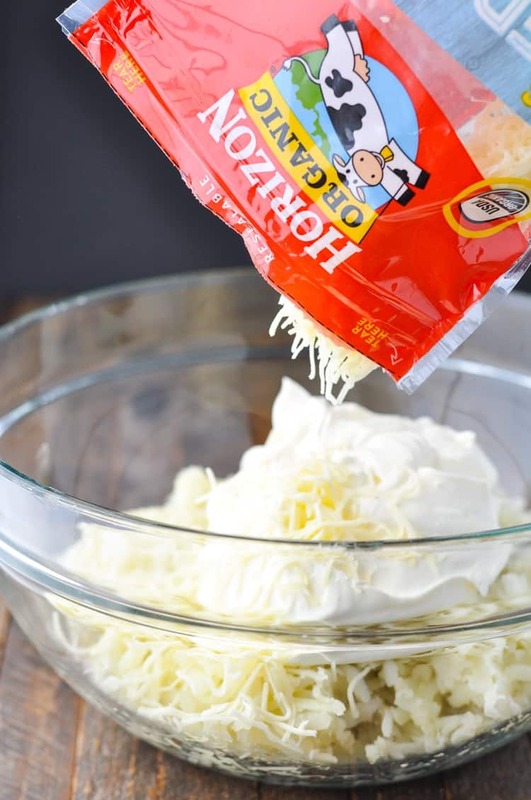 The Horizon cheese melts and works perfectly in this recipe! I always chuckle, whenever you post a recipe of your aunt “BEE’S”! Is her ‘real name’ “Beatrice”? If so, her nick-name should be spelled “BEA”, NOT “Bee” (as in bumble-bee! ), unless she also raises bees which produce honey, and she’s known by that moniker locally, and also on numerous websites & blogs. It looks kinda soupy. Will it thicken after cooked. Thanks! Can you peel the potatoes prior to boiling?